JEAN-CLAUDE GAKOSSO, Minister for Foreign Affairs ofCongo, said the 2030Agenda had heralded a new era of sustainable development. Recalling that his country had allocated many resources on the achievement of the Millennium Development Goals, he said it would now turn its attention to the implementation of the new agenda. However, it would require the international community's support, including through mechanisms such as the Green Climate Fund. 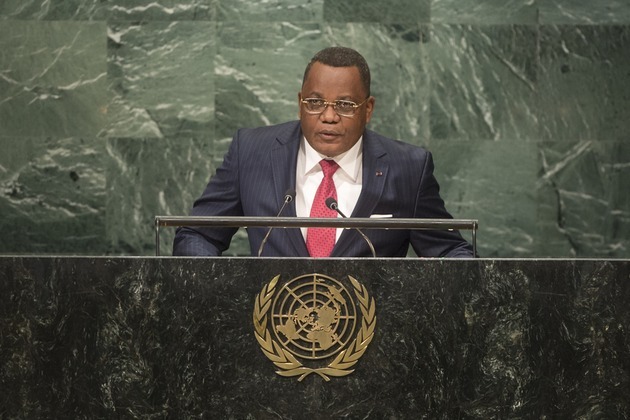 Pledging to ensure that each Congolese citizen lived in dignity and that no one was left behind, he underscored the significance of the recent Groupof20 decision to support industrialization in developing countries, especially in Africa. The continent would not be able to develop sustainably without first industrializing and gaining better access to energy. Recalling that, five years ago, the world had welcomed the birth of its newest nation, he said it was regrettable that South Sudan had rapidly plunged into a fratricidal conflict. All parties to that conflict must demonstrate political will and commit in good faith to implementing the 2015 peace agreement. Calling for the deployment of a regional stability force under a Security Council mandate, he said the time had come to put an end to the bloodbath in South Sudan, which imperilled global security. Noting that the Central African Republic had, not long ago, been caught up in another serious crisis, he said that country had been able to successfully implement a political transition with the help of its international and regional partners. Deploring the tragic events that had rocked Kinshasa almost a week ago, he invited the Democratic Republic of the Congo to seek peaceful solutions through an inclusive dialogue. Turning to Gabon, where a post-electoral crisis had led to violence, he said the country should aim to emerge reconciled from that painful ordeal. In his own country, he cited a number of recent institutional developments following last year's referendum. Those had led to the adoption of a Constitution that strengthened the principle of the separation of powers, abolished capital punishment, provided for gender equality, recognized the fundamental rights of indigenous peoples and provided a blueprint for participatory democracy.